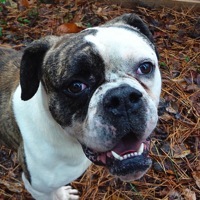 - Idaho American Bulldog Rescue - ADOPTIONS - Rescue Me! My name is Stella. I am a 4 month old American Bulldog/Lab cross who comes from a very large family of 11 puppies.